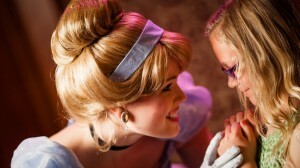 A “magical royal hall” has been created in World of Disney where the princesses can meet their guests. A Disney PhotoPass photographer will be on hand to capture the royal moments. ‘A Princess Royal Reception’ will take place daily from 10 a.m. until 4 p.m. beginning Saturday, October 1. The experience is currently only running through November 1.